Three European defence and security companies have joined forced to deliver a counter-UAV (unmanned aerial vehicle) defence solution. 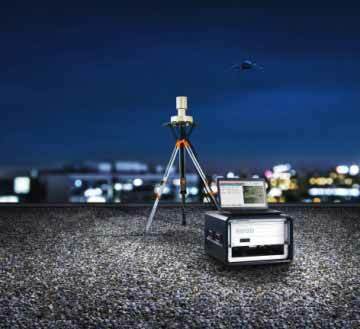 ESG Elektroniksystem und Logistik, Diehl Defence and Rohde & Schwarz have combined their efforts and expertise in the areas of radar, radio monitoring, electromagnetic countermeasures, command and control information systems and position mapping to deliver the GUARDION drone defence system. GUARDION is designed to detect and defend against threats posed by the unauthorised use of drones that pose a serious security risk at major public events, infrastructures and facilities such as airports, industrial test sites, large plants, military sites and correctional facilities. It focuses on integrating electronic detection, verification and countermeasures and connecting them to a position mapping and command and control tool. The HPEMcounterUAS effectors from Diehl Defence, the R&S ARDRONIS radio-controlled drone identification and countering system from Rohde & Schwarz and the TARANIS command and control and position mapping system developed by ESG have proven their capabilities in operational use, providing security during the 2015 G7 summit in Germany and the visit of the US President to the Hanover Fair. "Such deployment scenarios, as well as experience gained elsewhere, have confirmed our opinion that multiple intermeshed measures must be employed to ensure reliable protection against drones,” says Christoph Weber, head of Defence & Public Security at ESG. “The best way to meet this challenge is to integrate different, modular and scalable, cutting-edge technologies from various leading companies into a total solution." Dietmar Vahldiek, executive vice president of monitoring and network testing at Rohde & Schwarz, says for many customers, it is important to receive early warning of potential threats. “Detecting radio signals from remote control units, therefore, plays a key role. Security forces can respond even before the drone is in the air." The trend toward increasingly intelligent drones also requires an effector that civil forces can use against autonomously flown systems, for example, systems that are not dependent on radio signals or GPS for navigation. A significant countermeasure component in GUARDION is the HPEMcounterUAS from Diehl. “Today, reliable protection against small airborne vehicles must function against both radio-controlled and autonomously flown objects,” added Helmut Rauch, managing director at Diehl Defence. The three companies have been working on developing the counter-UAV solution since 2015. Analyst firm VisionGain estimates that there are 20 leading companies in the counter-UAV space, with revenues in this market expected to reach $2,483 million in 2016. Low, slow and small UAVs are difficult to detect using traditional radar. 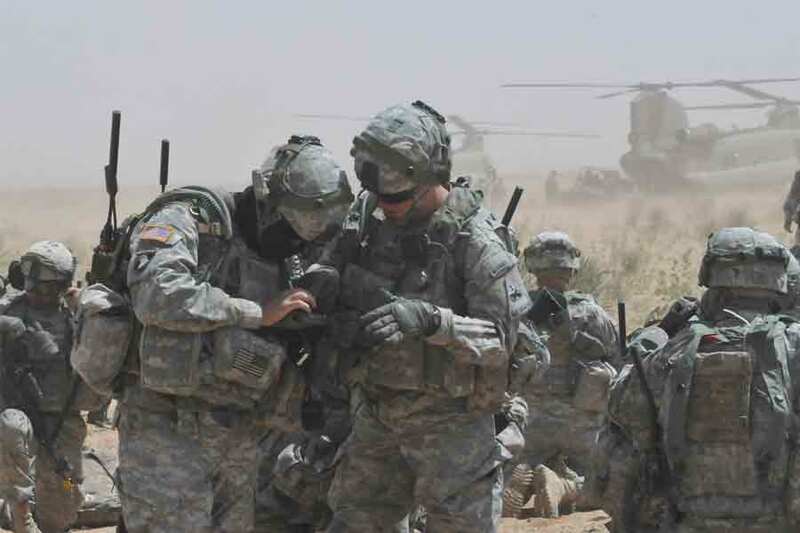 Some providers’ solutions address either the detection of UAVs or defeating the device using jamming, nets or laser signals that are shot out of a rifle-like device. 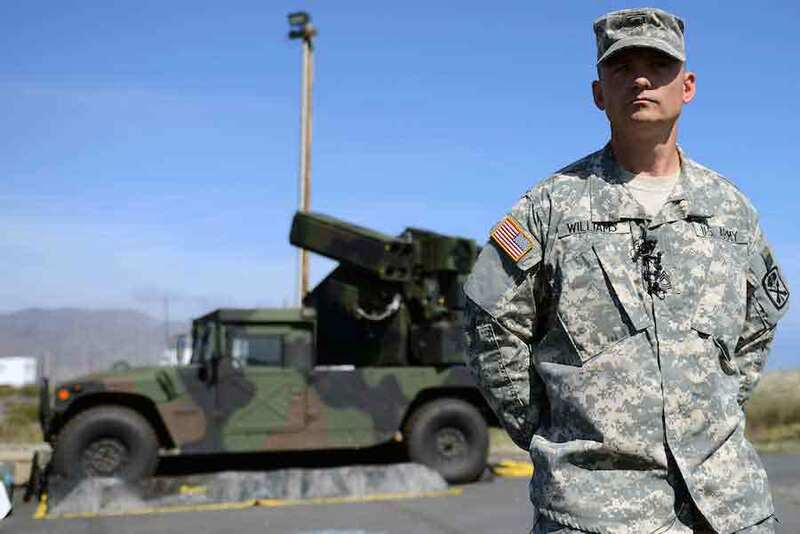 Last November, soldiers at the inaugural Army Warfighting Assessment (AWA 17.1) exercise at Fort Bliss, Texas, and White Sands Missile Range, New Mexico, used Batelle's DroneDefender system to bring down a DJI Phantom UAV. The DroneDefender can disrupt a UAV 400 metres away by emitting a laser signal that affects the UAV’s remote control and GPS. The DroneDefender is currently being used by the US in Iraq to protect against UAVs laden with explosives used by ISIL forces. The US Air Force is also set to spend $15.6 million on Israel Aerospace Industries’ Drone Guard system, which combines radar and electro-optical sensors for detection and identification, defeating the UAV with its electronic jamming system. 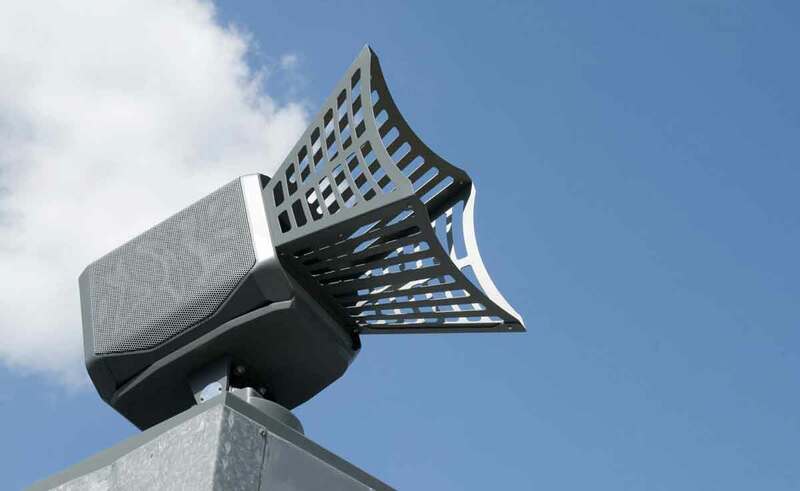 Drone Guard uses 3D radar and special drone detection and tracking algorithms, as well as electro-optical sensors for visual identification of the target. Cambridge, UK-based Aveillant takes a different approach to the detection of UAVs, using Holographic Radar, which illuminates the target all of the time (conventional radar systems only illuminate a target for some of the time) to detect, track and classify all types of drone, from micro systems (a DJI Phantom UAV) upwards. Unlike most traditional scanning radars, Aveillant says its radar can provide full 3D position and velocity information, which allows for more accurate location of detected air targets.